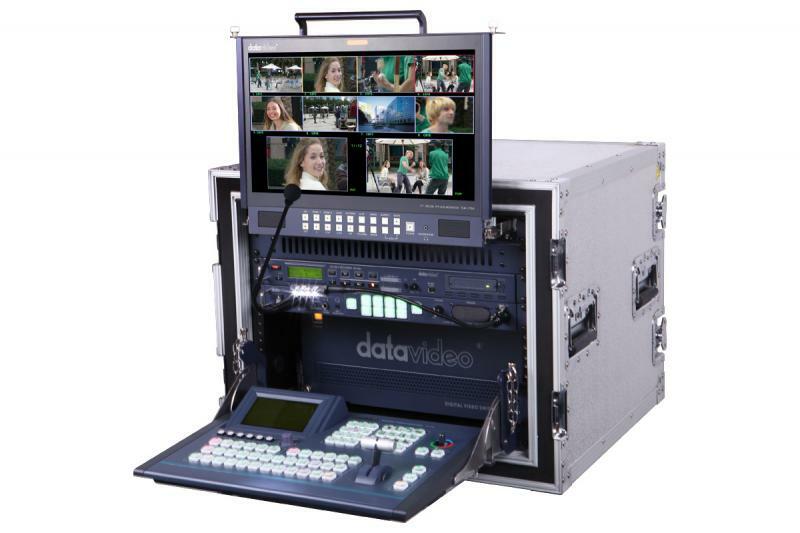 Datavideo’s is a ready-to-go 8-input SD studio in a flight pack that includes a switcher with a multiview output, recorder with a removable HDD, intercom (with 8x beltpacks, headsets, mics, and tally lights), and a 17″ monitor, all connected to a power supply that works on 12v or local power. The switcher accepts any combination of up to eight input boards for DV, SDI, DVI,VGA, YUV, S-Video and composite video. Option cards include: 2 channel chromakey, external genlock and SDI output.